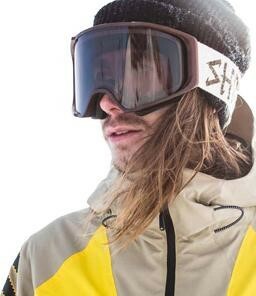 Hoping to inspire others to reduce their environmental impact, Shred debuted a goggle that uses reclaimed, recycled, and organic materials. Through partnerships with Connora Technologies, The CAPiTA Mothership, and Protect Our Winters, the new goggle, the Simplify Natural, features content recycled from the snowboard manufacturing process. This collaboration marks the first time that multiple companies in the snow sports industry have teamed up to provide manufacturing scraps with a new life, said Shred. The goggle showcases a rig, pins, and adjuster made from epoxy resin that is reclaimed and recycled from The CAPiTA Mothership production facility. Recognized as a leader in environmentally responsible manufacturing, The Mothership is 100% hydro-powered and relies heavily on locally-sourced materials. The Mothership will be using a new resin, ReRez, to produce select boards. Developed by Connora Technologies, ReRez’s formulation allows flashing waste to be recycled rather than discarded in a landfill. In addition to its rig, pins, and adjuster, the Simplify Natural features other materials that try to reduce impacts on the environment as much as possible. The goggle sports a frame that uses 30% recycled content, a strap made with 100% organic cotton, and face foam created with responsibly-sourced Merino wool fleece. The accompanying goggle bag is made with 100% recycled plastic derived from water bottles while the goggle box is made with 80% recycled paper and has a recyclable PET window. The debut of the Simplify Natural coincides with Shred joining Protect Our Winters, the leading climate advocacy group for the winter sports community. Together, they’re working to showcase this project as an example of meaningful collaboration between different companies within the same industry. Two percent of the sales of the Simplify Natural will also be donated to Protect Our Winters to bring awareness to the fight against climate change.